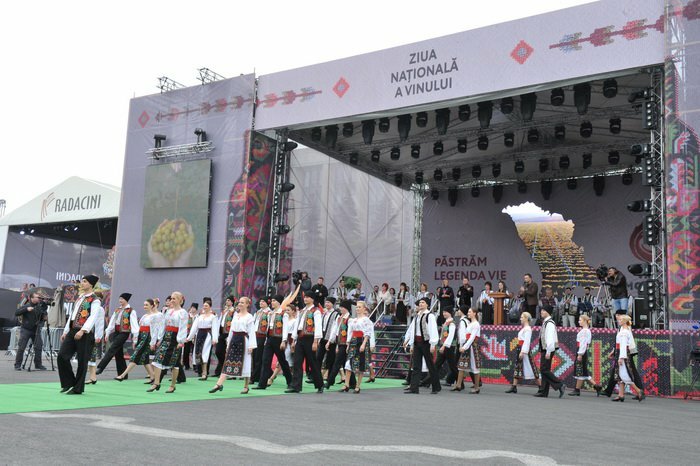 The National Day of Wine takes place under the title “We keep the living legend of Moldovan wine”. At the 16th issue of the traditional event, forty seven wineries take part, presenting the newest products to appear on the market in 2017. 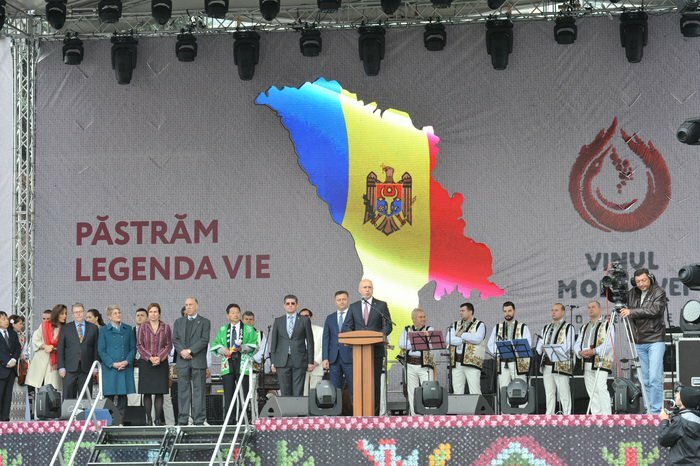 In his opening remarks, Prime Minister Pavel Filip congratulated wine producers on the occasion and said that Moldovan wines have been the business card of Moldova, and the Government would make every effort to further support the winemakers that promote Moldova’s image abroad through the quality wines they produce. “The viticulture is a key branch of the national industry that employs one third of Moldova’s population. Our wines have a rich history and are appreciated by both Eastern and Western consumers. Moldova is among the top 20 wine producing countries and the 13th largest wine exporter in the world. We find that there have been more challenges in this area, but we make every effort to cope with and increase the reputation of national wine,” said Filip. 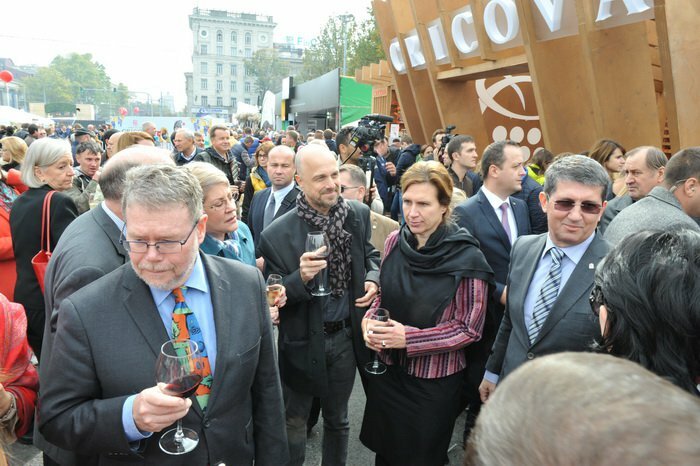 During the event, Prime Minister Pavel Filip handed out the Grand Prize for Special Merits in the wine sector of “Cricova” Winery. Similarly, accompanied by representatives of the diplomatic corps accredited to Moldova, the Prime Minister visited the stands of the wine producers and discussed with them the modern winemaking technologies and the new products promoted on the market. 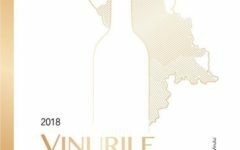 The director of the National Vine and Wine Office, Gheorghe Arpentin, said in 2017, the organizers have aimed to promote moderate and responsible wine consumption. “We thank everyone who has made it possible to organize and conduct this event. For two days in the PMAN, exhibition stands of wine producers, a new stand dedicated to moderate consumption, an area devoted to public catering, and an imposing stage. Also, guests will have a tasting carnet and an eco glass that can be recycled. The visitors will also be able to taste cocktails from wine. There will also be a fair of folk craftsmen, the Wine School, the Gastronomic Theatre,” said Arpentin. 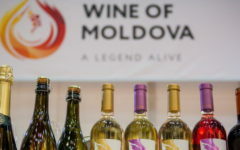 At her turn, deputy director of the Project for Competitiveness of Moldova, Diana Lazar noted that the National Wine Day in 2017 would be of a cross – responsible, urging consumers to become friendly environment, while quality wine, to be consumed moderately. “This year we expect to celebrate over 100,000 persons. The event of today aims to promote wine culture, moderate consumption and national tourism through visits to the country’s wineries,” said Lazar. At the same time, several delegations from abroad, including three teams of journalists, are expected to attend to discover this event and promote it on the foreign market. 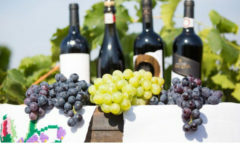 The third consecutive year, the National Wine Feast is held not only in the central square, but also in the wineries, which this year won about 300 medals in international competitions, out of which 60 per cent were gold. The National Wine Day is organized by the National Vine and Wine, Ministry of Agriculture, Regional Development and Environmental Associations producers of wine with PGI “Codru”, “Valul lui Traian”, “Stefan Voda”, “Divine”, with the support the strategic partner of the event, the Moldova Competitiveness Project financed by USAID and the Government of Sweden and of general partner Moldova Agroindbank.